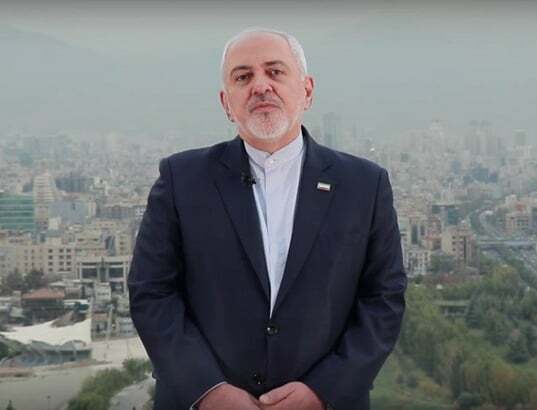 Iranian Foreign Minister has sent a message to the people of the world about the sanctions re-imposed by US against the Islamic Republic, arguing that the bans directly target the Iranian people. The US administration appears to believe that imposing illegal draconian sanctions on Iran will bring about such pain to our nation that it will force us to submit to its will—no matter how absurd, unlawful, or fundamentally flawed its demands are. We have weathered difficult times in the face of 40 years of American hostility, relying on our own resources. And today we and our partners across the globe will ensure that our people are least affected by this indiscriminate assault in the economic warfare that directly targets them, notwithstanding hypocritical claims by Trump administration to the contrary. But rather than relying on its discredited addiction to unilateralism and sanctions as tools of statecraft, which are today pushing it further into global isolation, the US is better off addressing the catastrophes and crises it has engineered in our region. Or in Afghanistan, where the US created Al Qaeda to fight the Soviets? Or Iraq, where it supported Saddam—including his use of chemical weapons—or the later invasion of Iraq, to supposedly rid Saddam of those very WMDs? Or is it that the long-standing and unconditional support for two clients—Saudi Arabia and Israel—blinds the US to their appalling atrocities that have resulted in global indignation and engendered insecurity to us all—the US itself included? Taking a long hard look at its own wrong choices and changing its approach from a failed one it has stubbornly followed for decades—instead of prescribing behavioural changes for Iran—will be far more effective in bringing about resolution to conflicts and crises that have bedevilled the Middle East for far too long. President Trump’s predecessors also began crafting their Iran policy with similar bravado; but came around to accepting and respecting the reality of Iran as they became more experienced in office.